Most spinal cord injury causes permanent disability or loss of movement (paralysis) and sensation below the site of the injury. Paralysis that involves the majority of the body, including the arms and legs, is called quadriplegia or tetraplegia. When a spinal cord injury affects only the lower body, the condition is called paraplegia. Many scientists are optimistic that important advances will occur to make the repair of injured spinal cords a reachable goal. In the meantime, treatments and rehabilitation allow many people with spinal cord injury to lead productive, independent lives. 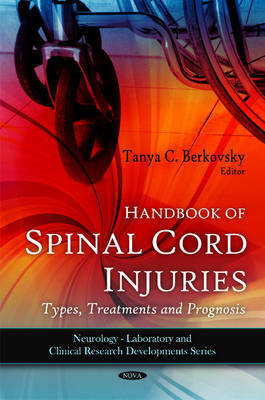 This new and important book gathers the latest research on spinal cord injury from around the world.